House Republicans Block Bill to Address Marijuana Banking Issues. House Republicans have blocked an attempt by Rep. Ed Perlmutter (D-CO) to consider a bill that would prevent the federal government from punishing banks that do business with marijuana companies. Republicans in the House Banking Committee shot it down because they said it wasn't relevant to the issue under consideration, stress tests for banks. Michigan Marijuana Legalization Campaign Turns in 360,000 Signatures to Place Issue on 2018 Ballot. The Coalition to Regulate Marijuana Like Alcohol turned in more than 360,000 signatures Monday today calling for its marijuana legalization initiative to be placed on Michigan's November 2018 ballot. The initiative needs 252,000 valid voter signatures to qualify for the ballot. The campaign says it has already vetted many of its signatures, so it should qualify by a comfortable margin, but stay tuned. Wyoming Moves to Crack Down on Marijuana Edibles, Infused Liquids. Seeking to address a lacuna in the state's marijuana laws, the legislature's Joint Judiciary Committee voted last Thursday to advance two bills that would specifically criminalize marijuana edibles and products infused with marijuana. State courts have declared themselves unable to prosecute people for possessing edibles or infused products because current law does not specifically address them. Guam Medical Marijuana Regulations Being Drafted. Hearings have been set for the legislature's Rules Committee early next month in a bid to get medical marijuana regulations in final form before Christmas. A public hearing is set for December 5, with the final draft to be marked up in committee on December 14. US Launches Airstrikes in First Operation Targeting Afghan Opium. The US launched its first counternarcotics military offensive of the Trump era this past weekend with air strikes aimed at "Taliban narcotics production facilities" in restive Helmand province. "We hit the labs where they turn poppy into heroin. We hit their storage facilities where they keep their final product, where they stockpile their money and their command and control. Our estimates indicate that more than $200 million from this illegal economy was going into the pockets of the Taliban," General John Nicholson, commander of US troops and NATO's Resolute Support military mission, said at a Monday news conference in Kabul. 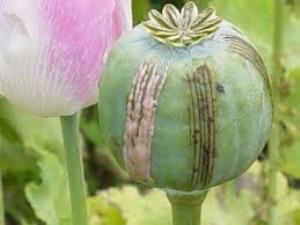 Afghanistan accounts for about 90% of global opium production and produced a record crop this year. Peru President Signs Medical Marijuana Bill into Law. President Pedro Kuczynski has signed into law a bill legalizing marijuana and its derivatives, such as CBD cannabis oil, to be used in the treatment of specified diseases, including Parkinson's Disease, cancer, and epilepsy. Peru now joins Argentina, Chile, Colombia and Mexico in having medical marijuana laws, while Uruguay has legalized it for any adults.